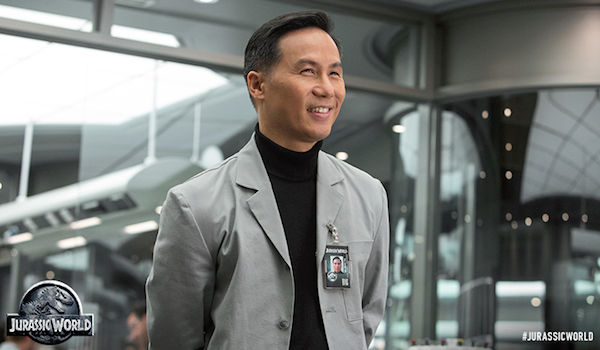 How Does BD Wong Look So Young In This Jurassic World Image? There are a lot of great characters in Jurassic Park, though many won’t be back since they were eaten by dinosaurs in 1993. 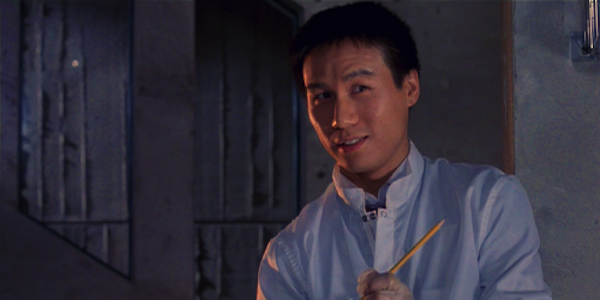 The only player from Steven Spielberg’s movie returning for director Colin Trevorrow’s upcoming Jurassic World (unless you count T-Rex and the Velociraptors) is BD Wong’s Dr. Henry Wu. The film revealed a new photo of Dr. Wu on its Facebook page, and though it’s been 22 years, it looks like not a single day has passed, and we can’t help but wonder how the hell he looks so young? Take a quick gander at this picture and try to guess how old he is (this is like bar trivia, there’s no cheating on your cell phones because, well, that’s cheating). After a quick informal poll around these parts, the median guess was that he looks to be right around 40. Rationally, we know he’s much older than that, but he doesn’t look like the 54-year-old that he is. As a point of reference, Sean Penn, who stars as a grizzled soldier-for-hire in The Gunman, which opens this weekend, is also 54. Penn was notorious for some pretty hard partying back in the day, but even so, these two do not look even remotely the same age. Wong has always looked young, even over the course of hundreds of episodes of Law & Order: SVU, psychiatrist Dr. George Huang didn’t seem to age much at all. Jurassic World sees John Hammond’s ill-fated theme park finally open, having become the most popular tourist destination in the world. By this point it has even been open long enough that attendance starts to flag, and in order to boost revenue, the multinational parent company, Masrani Global Corporation, commissions a new genetic hybrid dinosaur from a DNA cocktail containing T-Rex, Velociraptor, snake, and cuttlefish genes. We all know this is a bad idea, and the new beast escapes and wreaks havoc, forming the main conflict in the plot. Given Masrani’s resources, and Dr. Wu’s background as a geneticist, do you think it’s possible he dabbled with something he found in a lab, maybe a technological fountain of youth? That’s just wild speculation, of course. In reality, Wong probably just takes really good care of himself, but it’s a fun theory. Whatever he’s doing, it works. Granted, he doesn’t look exactly the same as he does in Jurassic Park, but it certainly doesn’t look like 22 years have passed. He’s 17 years older than I am, and I wish I looked that good now. Jurassic World stars Chris Pratt, Bryce Dallas Howard, Vincent D’Onofrio, Irrfan Khan, Omar Sy, Judy Greer, Nick Robinson, Ty Simpkins, Jake Johnson, and more, and opens on June 12.